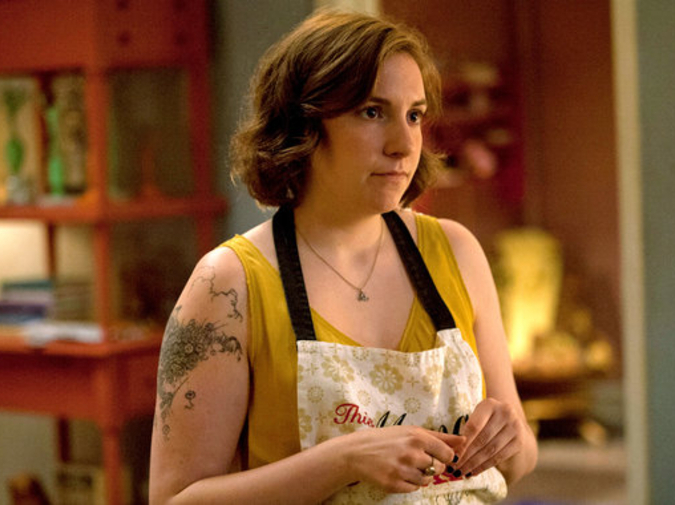 I fell in love with Lena Dunham from the first scene of the first episode of her hit TV show, Girls. I connected with her instantaneously, and knowing that she also wrote the script for the show and directed some of the episodes made me love her infinite times more than I already did. But maybe I’m just biased because she’s literally everything I’ve ever wanted to be. I love that she’s outgoing and funny and especially that she’s not ashamed of her beautiful, “normal” body. She’s the role model that we’ve all been waiting for; the role model that feminists so strongly insist that young girls need to see, and yet so many of them are so quick to tear her apart for what she’s doing. I think part of it is the fact that it can be so easy for some people to view a comedian solely as the character that they portray, and it’s even easier to do so with female comedians. It’s easier to say “wow, she’s so annoying” than to realize that she’s acting, and that she’s playing a role. Her character Hannah from Girls can seem self-centered and egotistical sure, but she’s lovable and real and she shows the bad side that’s in everyone in a humorous way. Hannah isn’t Lena, even though Lena may have based part of the character off of herself and her experiences. I feel like I need to add that the other three actresses are just as hilarious and amazing as Hannah, as well their male counterparts. I admit that I definitely give in to the hatred of female comedians too easily at times, but after watching just one episode of Lena’s show there was no way I could possibly not love it and love her. So much of her character I can connect to (wanting to be a writer, her body, her sarcasm…) but at the same time it just makes me love Lena more for the writing and acting and creation of this show. Not long before I first saw Girls I watched Tiny Furniture, Lena Dunham’s first movie that she directed, wrote, and starred in as a post-college young adult who’s recently moved back in with her parents and is trying to figure out how to move on in life after school. Honestly, I wasn’t sold on her solely off the movie. I liked it a lot, and I did love the fact that she wrote, directed, and starred in it straight out of college but something about it wasn’t all there for me. Her characters in Girls are so much more strongly developed, and you can see how much she’s grown since that first movie. Overall, in case you couldn’t tell already, I’m in love with Lena Dunham. I’m in love with her openness about sexuality, about her body, about everyone’s body, about dancing, and about humility. She’s a role model for everyone, not just “chunky” girls or girls that are “artsy”. Lena Dunham is a beautiful, beautiful person and she deserves everything that’s coming her way for her wonderful, inspiring work.